Copper’s fiery glow, relative abundance and famed durability have served civilization well for countless centuries. The metal‘s many attributes have also endeared it to architects of all ages, from all ages. 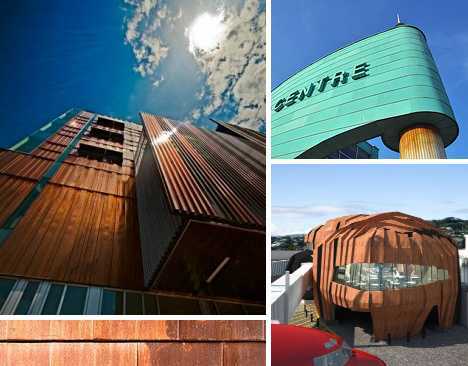 Now a new breed of urban designers have warmed to copper‘s practical beauty, employing it to clad buildings of all sizes and why not: it doesn’t just make cents. 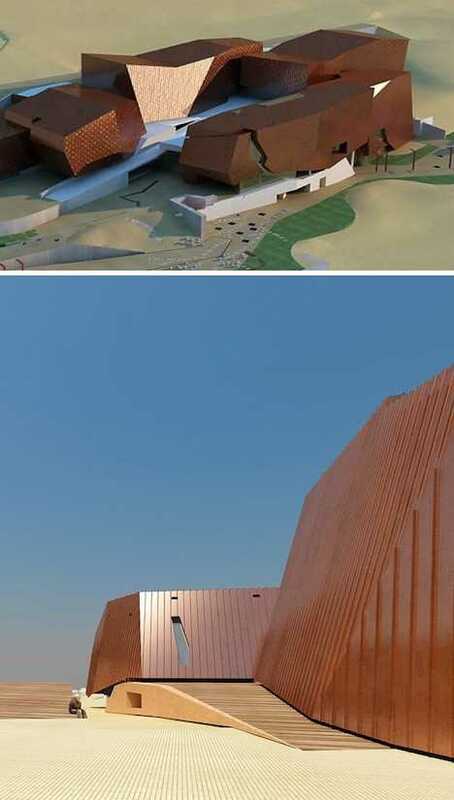 The //hapo Museum (“//hapo” means “hope” or “dream” in the Khoi language) was designed by GAPP, Mashabane Rose Architects and MMA to showcase over 3 billion years of South African history. 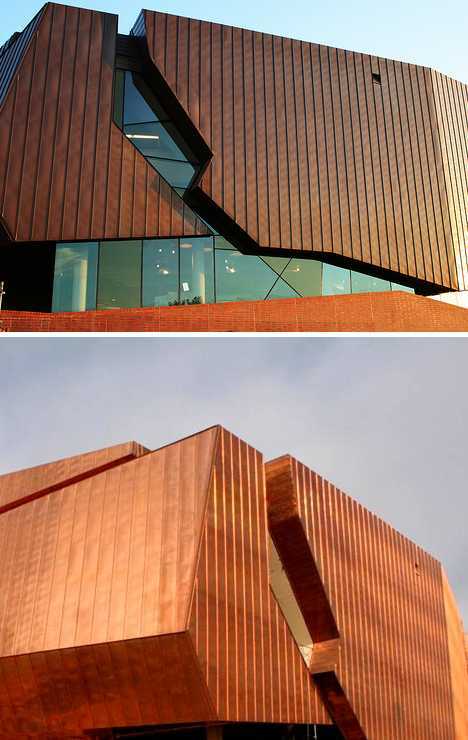 The 11,000-square-meter (118,405 sq ft) building complex is clad with custom-made copper panels that are meant to age naturally, displaying a rich patina in response to the effects of sun, wind and weather. Should not a beauty parlor itself be beautiful? Call it an exercise in zen philosophy if you like but the Fujitsubo (“barnacle” in Japanese) beauty parlor in Tokyo’s trendy Omotesando district is gorgeous any way you slice it. 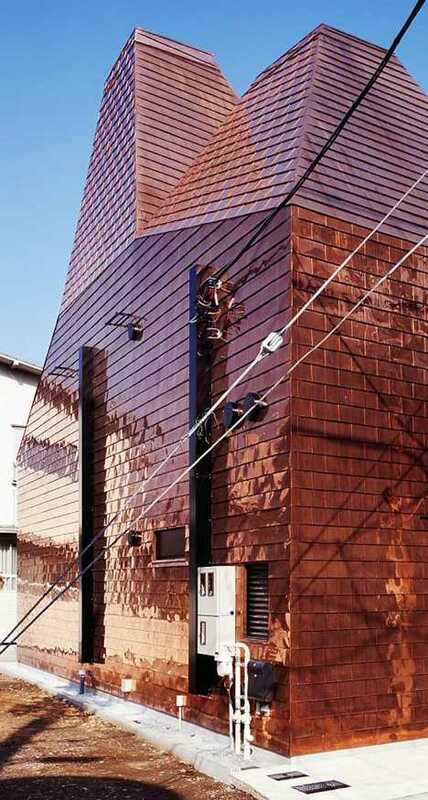 Credit Japanese architects Archivision Hirotani Studio with this exciting example of copper cladding applied continuously from rooftop to ground level. Copper sheeting laid in an overlapping shingle pattern climbs the parlor’s triple-pyramid roof in horizontal layers while the vertical walls show off the traditional staggered brickwork design to best advantage. 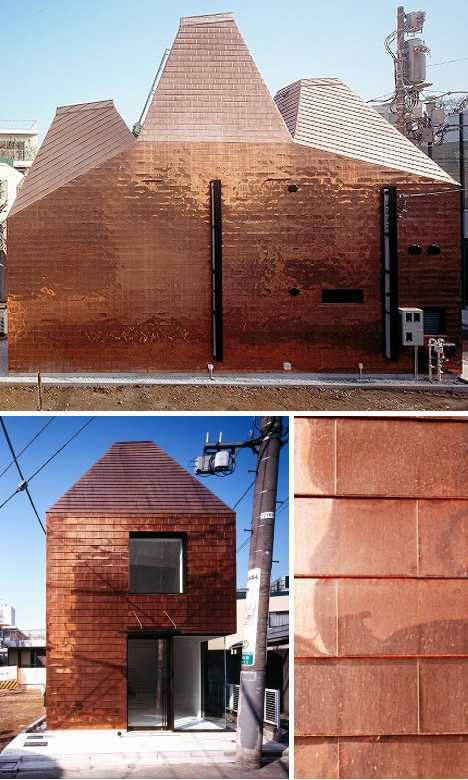 Bright and reflective when applied, the copper is expected to age incrementally to degrees dependent upon the varying amounts of sunlight and rain received at different areas of the structure. 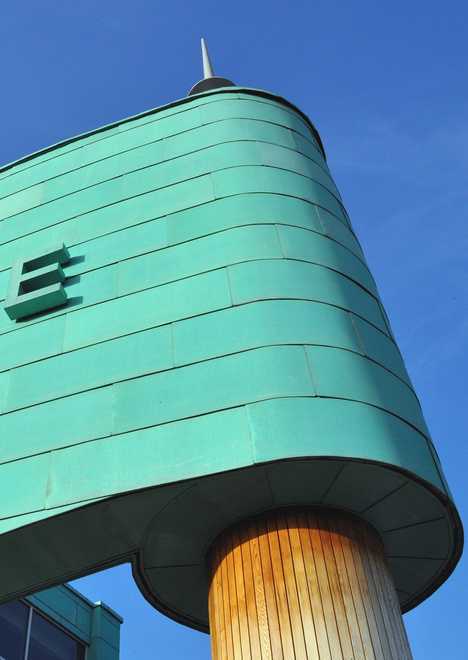 The Evesham Leisure Centre in Worcestershire, England, was designed by Limbrick Limited: Architecture and Design (now part of Roberts – Limbrick Architects) and opened in late 2009. 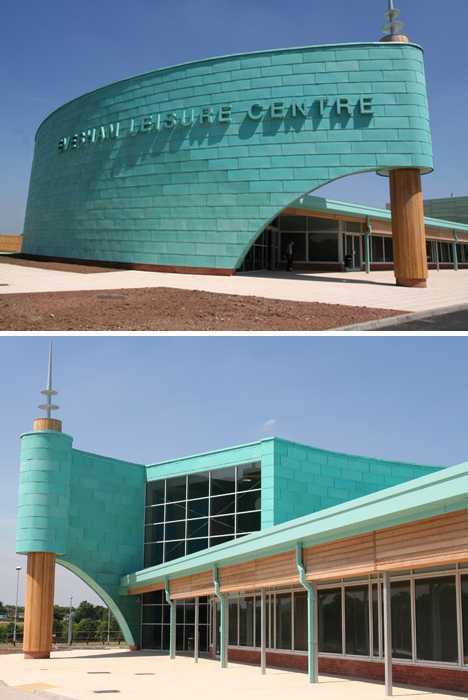 The complex features two swimming pools, a climbing wall, a 100-station fitness room and a beauty salon but it was the building’s striking sea-green copper-clad exterior that garnered it the Vale of Evesham Civic Society’s Merit Award for 2011. In keeping with Evesham’s long, intimate and occasionally tempestuous relationship with the River Avon which runs through (and occasionally into) the town, the architects chose to apply pre-patinated copper cladding to portions of the building so that its final tinting would be set from the start. 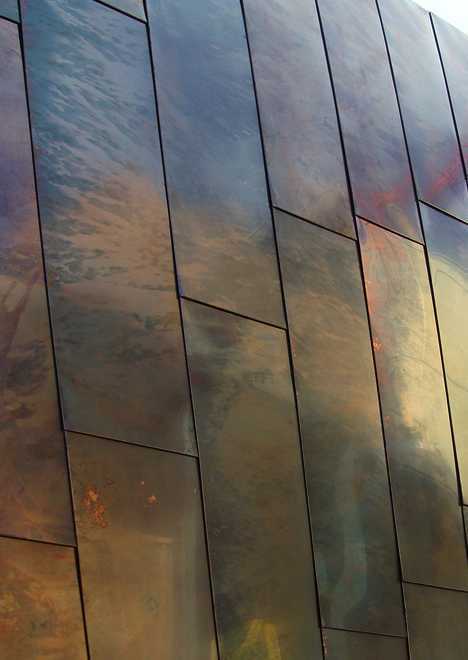 As copper is the longest-lasting exterior construction component in use today, the decision to “go green” from the get-go is perfectly understandable. 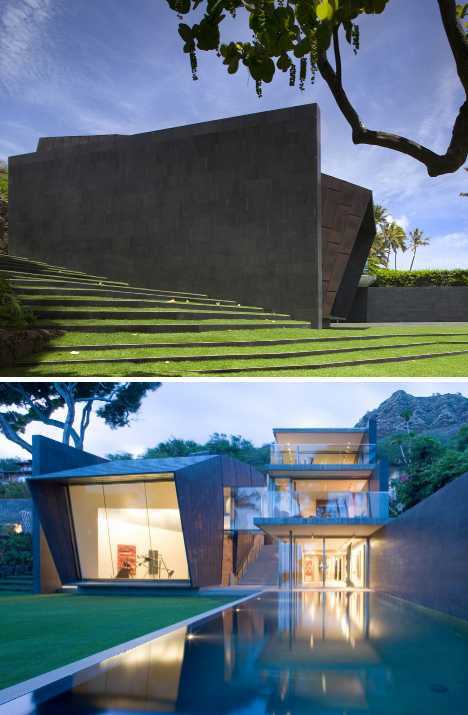 Completed in 2010, the Waipolu Gallery on the Hawaiian island of Oahu was designed by Peter Bohlin of Bohlin Cywinski Jackson, with “Dirty Penny™” copper cladding provided by Zahner of Kansas City. Stately, subdued but possessed of an ageless solidity, the structure appears as if it grew naturally out of the island’s primordial volcanic substrate. By installing pre-patinated copper, the Waipolu Gallery gets a jump start on the long road to antique verdigris while in the meantime, shows respect for the serious and subdued tone required by a facility of the Waipolu Gallery’s reputation.